Fuerst, J., Kirkegaard, E. O. (2014). Educational attainment, income, use of social benefits, crime rate and the general socioeconomic factor among 71 immigrant groups in Denmark. We obtained data from Denmark for the largest 71 immigrant groups by country of origin. We show that three important socialeconomic variables are highly predictable from the Islam rate, IQ, GDP and height of the countries of origin. 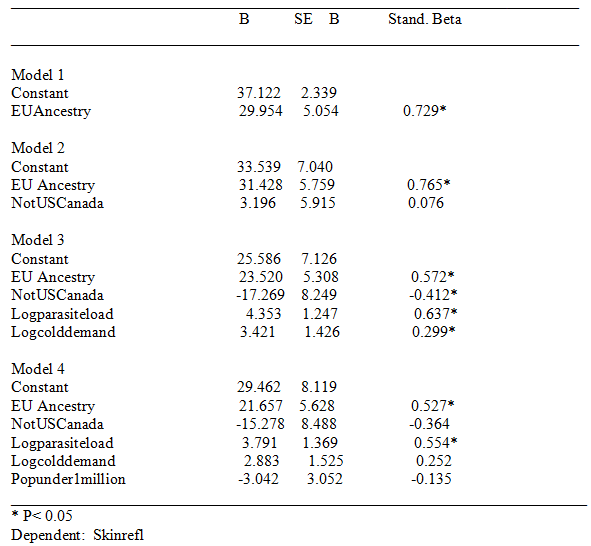 We further show that there is a general immigrant socioeconomic factor and that country of origin national IQs, Islamic rates, and GDP strongly predict immigrant general socioeconomic scores. Fuerst, J., Kirkegaard, E. O. (2014). 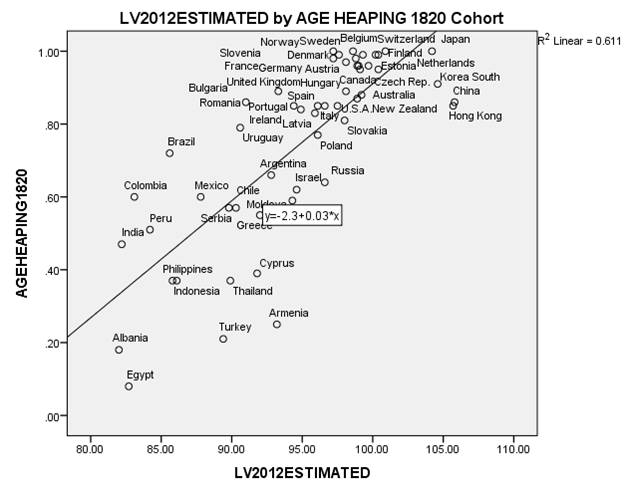 Do National IQs Predict U.S. 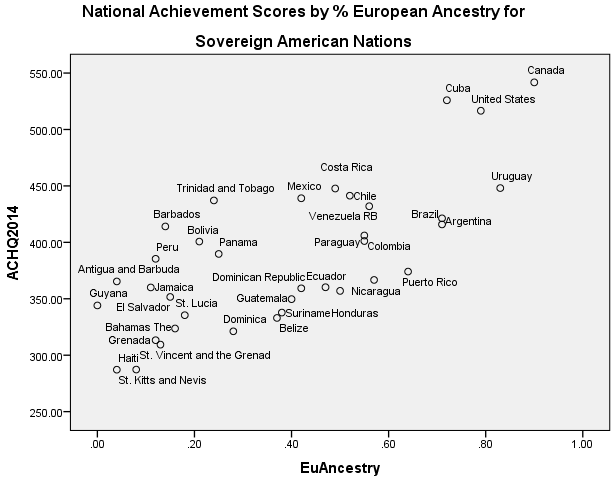 Immigrant Cognitive Ability and Outcomes? An Analysis of the National Longitudinal Survey of Freshman. Open Differential Psychology. We discuss the global hereditarian hypothesis of race differences in g and test it on data from the NLSF. 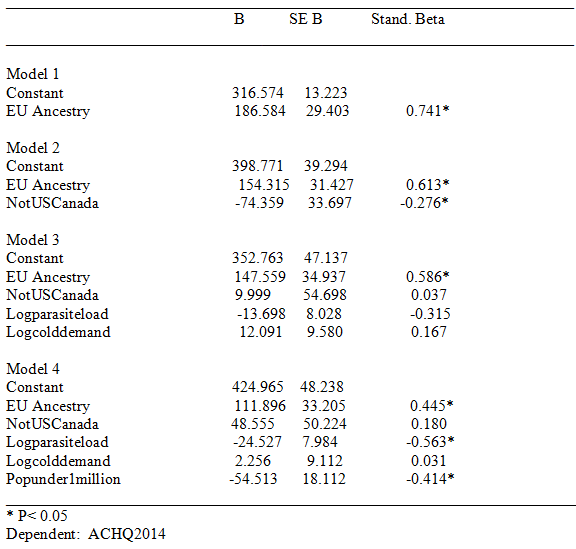 We find that migrants country of origin’s IQ predicts GPA and SAT/ACT. I took a gander at the 2010, 2011, and 2012 GED total scores by race and nation (from “GED Testing Statistical Reports”). The sample sizes were small. Unfortunately, the earlier reports, which go back to the ’80s didn’t provide scores for Bermuda, the Virgin Islands, and Jamaica+Cayman+St.Martin; as these scores were what I was particularly curious about, I didn’t include scores from earlier years. The scores aren’t representative, etc., etc. but they, nonetheless, provide a tad of info on e.g., (self-identified) ethnic differences in Bermuda. The score were averaged across the three years mentioned. The d-values presented at the bottom are inter-national. Those presented on the right are intra-national. The differences are roughly consistent with Richard Lynn’s Global Bell Curve position. MH’s (02/11/2014) Excel File Here. Previously, we looked at the association between L&V’s (2012) National IQs, GMAT scores, and English Proficiency scores. We extend that analysis here by including 2010-2012 GRE (quantitative, verbal, and total) scores, 2010 + 2012 TOEFL scores, 2003-2009 migrant PISA scores, and national numeracy rates from the 19th and early 20th century. Yes, the GMAT test is administered in English and is designed for programs that teach in English. But the required English skill level is much less than what students will need in the classroom. The exam requires just enough English to allow us to adequately and comprehensively assess Verbal reasoning, Quantitative reasoning and Integrated Reasoning skills…. We carefully review our questions using criteria defining good item construction. We also compute statistics to assess whether our questions are appropriate across culture groups. We constantly update guidelines for our item writers, including a master list of terms and phrases to avoid in order to assure cultural fairness. By using carefully defined and thorough item development and review processes, along with statistical analyses to flag questions with possible cultural bias, we have developed a test that minimizes the impact of culture and language. The GMAT exam is the best objective measure of the likelihood of success in management programs across the globe. Despite the claimed lack of bias and apparent predictive validity of the test, there is substantial global variance in scores. Rudner (2012) attributes this variance largely to differences in native language spoken and to differences in self-selection. We decided to explore to what extent global differences could be accounted for differences in National IQ. To do this, we examined the relation between measures of national cognitive ability, English language proficiency, English language usage, and GMAT scores by reported citizenship. We also sought to determine to what extent GMAT scores could be used to index the National IQs for poorly investigated regions such as North Korea, Rwanda, and St. Kitts.